The project 100 Moods From Finland has recorded one hundred moods from Finland during one year. These unique moments are authentic pieces of Finland in different seasons and on a wide scale from roadless wilderness to already familiar places. Five people who for their own part have positively and genuinely contributed to the national image of Finland were invited to join the project. Each of them has chosen their own place from Finland whose mood has been recorded as a 360° video. 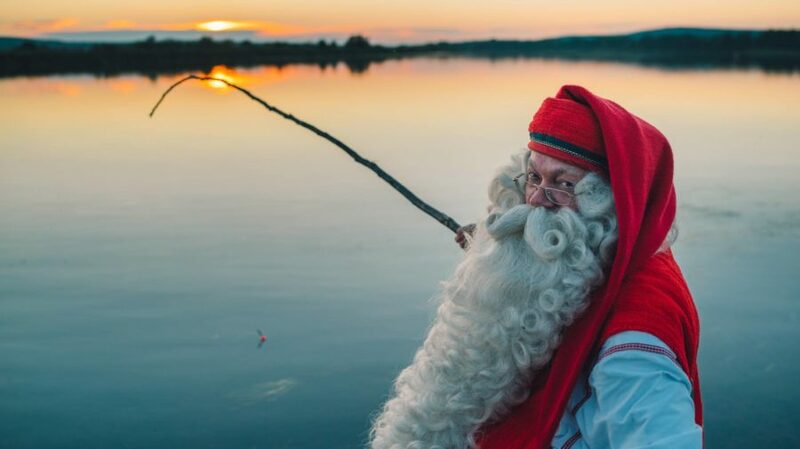 One of the ambassador of the project 100 Moods From Finland is Santa Claus, the Goodwill messenger from Rovaniemi. Koivusaari can be experienced digitally through the 360° video of 100 Moods. The viewer can admire Santa’s summer by rotating the picture in different directions on a smartphone or a computer. There were over 100 days of shooting during the project, over 20 000 kilometres in the car’s odometer, and over 1 000 hours of working and refining the material at the headquarters of of Flatlight Creative House that runs the project. 100 Moods From Finland is a project of passion for the Rovaniemi-based company, whose collaborative partners in the project include Finland 100, Nokia, Genelec, Visit Rovaniemi, Ruka-Kuusamo, and Lapland Finland 100. Besides the digital experience, an important part of the project is the dome-shaped exhibition space. It has already delighted the audiences in the midsummer party of Nordic embassies in Berlin and in the SuomiAreena forum in Pori. Treeform was responsible for the design and execution of the exhibition space together with Flatlight Creative House. The project aims to export Finland to the world in a completely new way. The climax of the year is the Ambassador Campaign. A new Ambassador is revealed each week until the campaign culminates in the Finnish Independence Day.